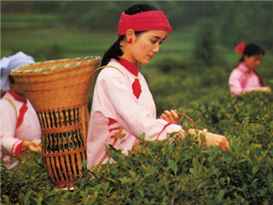 The purity of water in the tea region plays an important role to tea. 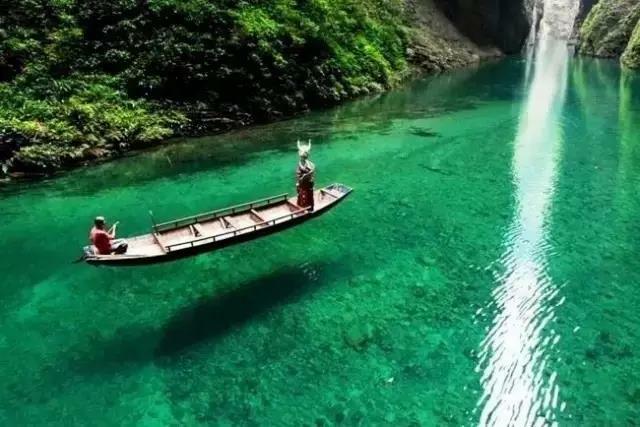 In this photo, the boat seems is flying above the water because the water is so clean and clear. China developed the steamed green methods since the Tang Dynasty, according to the Cha Jing written by Lu Yu “晴，采之。蒸之，捣之，拍之，焙之，穿之，封之，茶之干矣 picked in the sunny day, roll after leaves been steamed and soft, drying, shaping”. 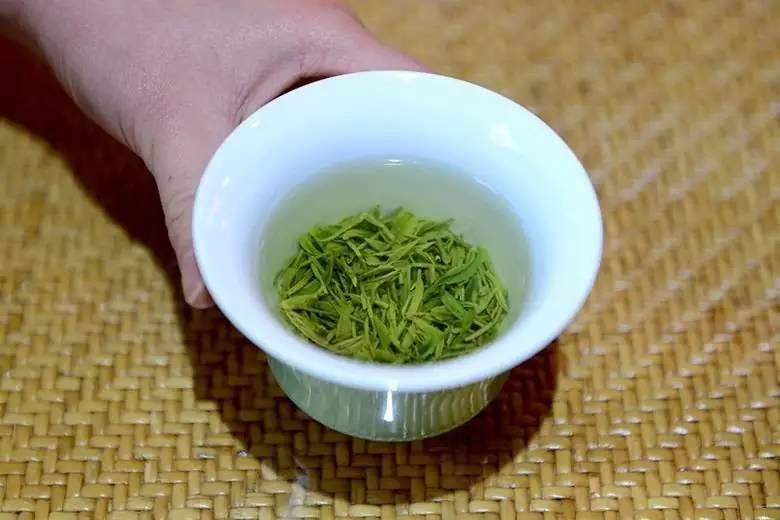 When Japanese preserve and refine the steaming methods that Japanese monks brought back with them, the Chinese tea culture continue to revolve due to the increase of tea type variety.Right now now only very limited green teas are using the steamed green method in China. 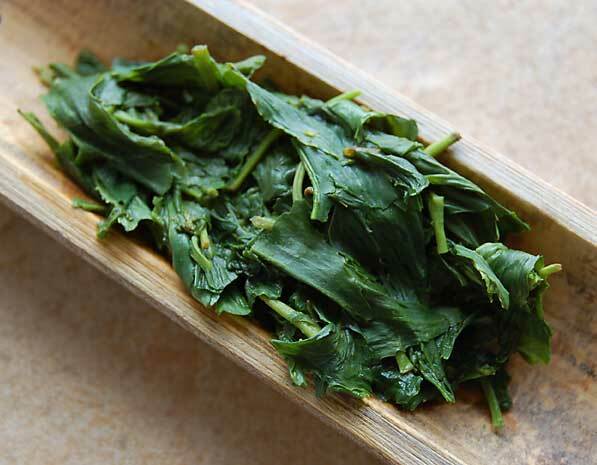 Most famous China green teas are adapting the frying method. 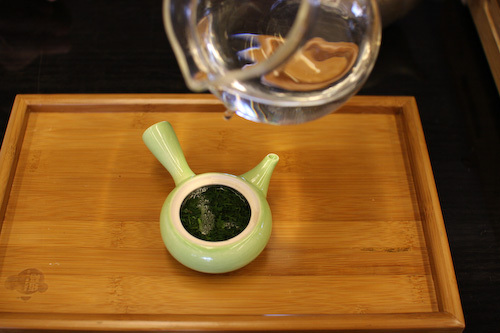 EnShi Gyokuro is one of the most unique kind of steamed green tea from China. 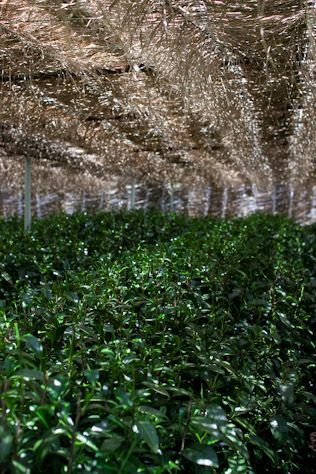 Unlike Gyokuro from Japan that the tea garden is shielded by straw mats completely, so the leaf grows very slowly with the least oxidation with sun before picking; while the Chinese Gyokuro is expose in the nature environment and using the whole young buds. It is sensitive when pouring the hot water into glass, so avoid pouring hot water directly leaves. It provides enjoyment from color, shape, movement, flavor and taste in the glass. Is Anji White Tea a white tea? No, actually it is an amazing green tea ! 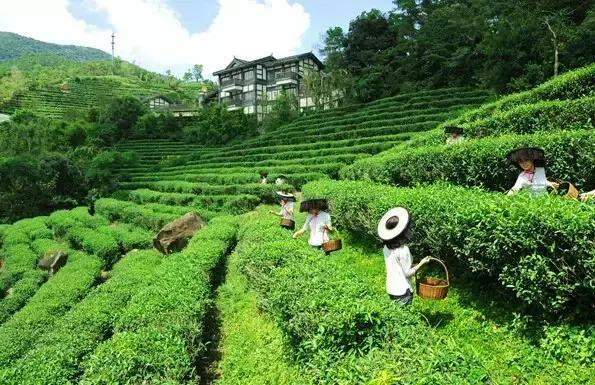 Anji is a very famous bamboo county at the North West of Zhejiang Province in China. 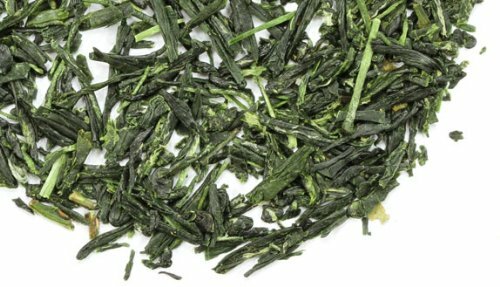 Those who love Long Jing probably would describe the aroma and flavour of Long Jing as ‘Masculine and dominant”, for Anji White Tea they probably will describe it as “feminine and fine”. Even though we call it White Tea, but actually it has nothing to do with white tea, in fact it is a fine green tea. 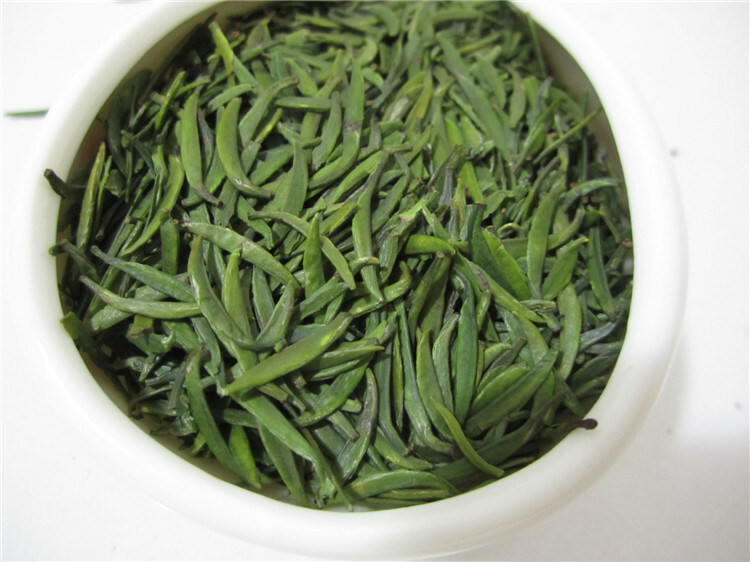 Because the color of fresh leaf is in very pale green, so it’s name as Anji White Tea. The flavour and taste are very mild and fine. Anji white tea has a very interesting legend story. Actually it was first mentioned in Cha Jing (茶經) written by Lu Yu in Tang dynasty, and then later mentioned in Da Guan Cha Luen (大觀茶論) written by Huei Zhong in Song dynasty. But there was no any document mentioned about this unique white tea in the Ming dynasty for nearly 350 years. The legendary rediscovery goes back to the sixth emperor in Ching Dynasty (1711-1799) that people discovered ten’ish wild white tea tree in Xiao Feng Zhen in 1930, but later this natural gymnastic changed tea trees were again disappeared until someone took a photo in very remote valley in 1958. After few decades of research, finally have found a wild pale green tea tree in 1982. In 1996 the Anji county tried to plant Anji white tea tree cultivar by using the striking cutting-method in about 66,000m2 of land, but only less than 20% can produce Anji White Tea. Perhaps it’s because the bamboo surrounding in the neighbourhood, Anji White Tea does have an unique mixture of creamy bamboo green note. 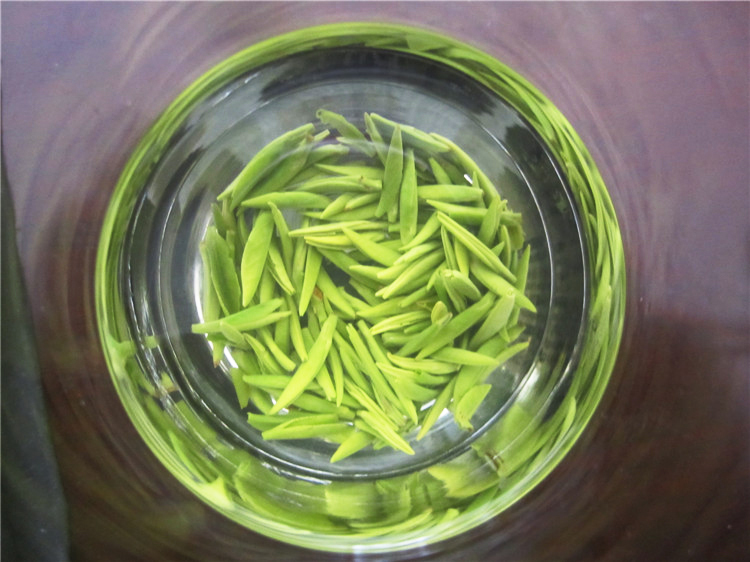 Anji White Tea is also known as “Lady’s Tea” because of its very beautiful and elegant shape and color, the top quality is 1 bud with 1 young leaf. Tea ware: for me, the best is glass so I can enjoy how young leaves absorbing and falling down in the water. If not, can also use the porcelain gaiwan or teapot. But still glass is my preference. When having cold and fever. At that time, black tea (red tea) with ginger and honey is better choice than green tea. 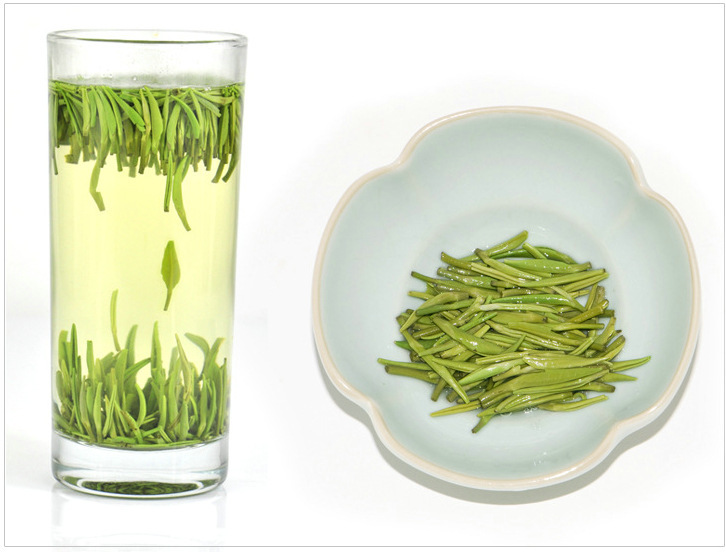 Among the top 10 famous green tea in China, Nanjing Yu Hua Tau is an unique choice. It is unique not just because of its fine green tea flavour and taste, but also because it represents the magnificent glory past of Southern Capital city in Chinese histor and ugly yet horrible war crime, Nanjing Rap, conducted by Japanese militants during their invasion in China. Thanks to Yemin who brought three different quality of Nanjing Yu Hua Tau green tea from her recent family visiting trip to Nanjing. Flavour is mild with astringent taste in the 1st infusion, but bitter in the 2nd infusion. Lovely impression with young buds standing in the cup. 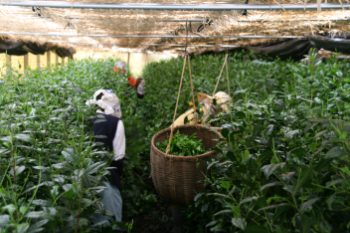 Due to the high water content percentage, therefore it is better to brew this young buds quality with lower water temperature, otherwise the taste can be bitter easily. Now we moved to the last one, the size “M” which are young leaves that are like shy girls who open their windows slightly for their love one. 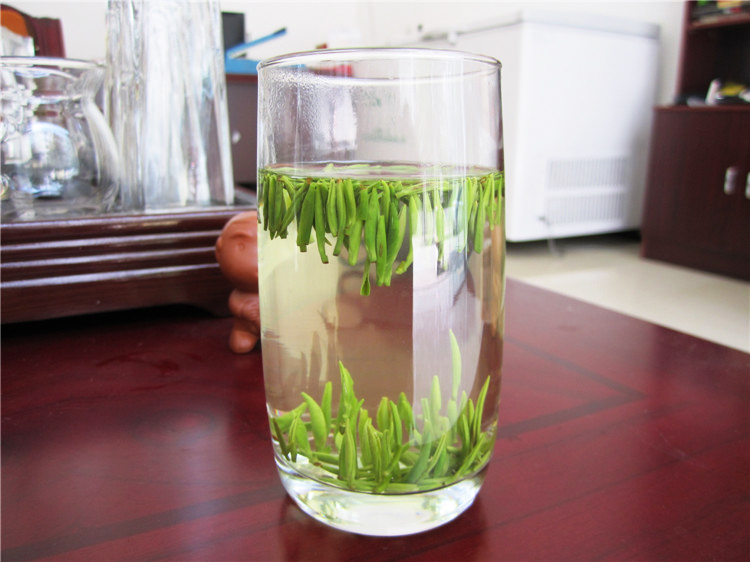 With such quality green tea, it is better to brew with lower water temperature, i.e. 70-75°C, and shorten the infusion time.